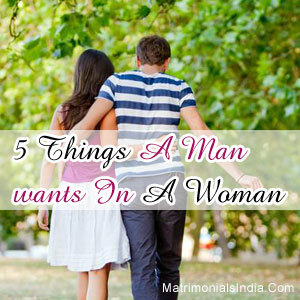 If you are single lady eagerly waiting for your Prince charming, you must be aware of the 5 most important things in a woman that attract men. An educated man with modern values respects women and expects her to be an independent and confident person. Falling for someone is one thing and tying the knot with someone is another. Beauty may attract men towards you but it takes beyond looks to convince a man that you are the one! Independence & Confidence : A woman who is independent and confident is a symbol of strength and courage. She is the right choice for marriage as she will tackle all situations decisively and bravely. Respectful : A woman who has her own identity but still respects her counterpart and shows him how important he is, is the perfect woman for marriage. Men don't like over-smart women who show off a lot. Also, you must respect yourself as well. Don't date married or committed men. They are not worth it. Space : A woman who gives some space to her mate for boy-things like cricket, hangout with buddies, etc are more comfortable to live with. Trust me, men don't like interference in a few things at all, like cricket, boys-hangouts etc. Possessive : Giving space is good, but being completely indifferent might hurt the emotions and ego of your man. So, show him that your care and you are possessive about him, but don't go overboard. Be his friend : Be respectful towards him in front of his friends and guests. Don't laugh at him, laugh with him! Also, motivate him for progress and positivity in life. Remember, a woman inspires a man.